Selling is an art but can be learned and developed. This section looks at consultative selling, sales strategies and other sales tools and techniques to engage, attain and retain your customers. Discover the real power of understanding your clients spoken and unspoken communication. 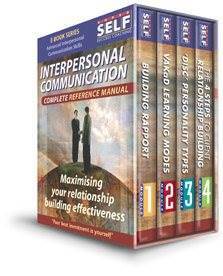 Maximise your client relationship building skills through applying the understanding of rapport building, body language, learning styles, personality types and many other highly effective communication principles and techniques. Build trust, discover the need, create the desire and empower your clients into action! 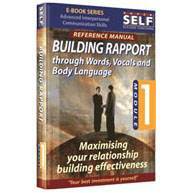 Learn and practice the skill of this amazingly simple and effective 4 step relationship building process. Tap into the amazing world of discovering your client's behavioural style! Learn the art of understanding the personality type of your client or work colleague. Find out if they are dominant, inspiring, steady or conscientious and discover a way to speak their language. Discover how to become highly effective by communicating visual, auditory, kinesthetic or auditory digital with your clients by understanding which is their preferred learning modality. Learn how to build instant rapport with your clients by understanding their body language signals and gestures with ... "Building Rapport through Words, Vocals and Body Language". This eBook reveals the secrets and techniques around building rapport through both verbal (words) and non-verbal (body language) interpersonal communication.